Jimmy Fallon isn’t just a late night host, he’s also a talented musician. Just look at his clucking performance of “Ironic” with Alanis Morrisette. 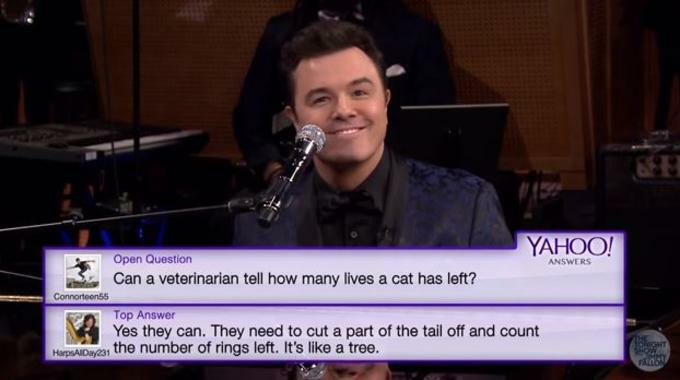 In his latest venture, the Tonight Show host combines his musical chops with those pesky Yahoo questions we know and bemoan—but he didn’t do it alone. To find out their answers, look to the video above.